Cheap flights from London to Nepal from £368 return! Cheap direct flights from Frankfurt to Kilimanjaro from €353! Based on charter airlines Condor Flugdienst you can book last-minute flights from Germany to Tanzania and visit area around incredible Kilimanjaro or explore amazing National Parks of Northern Circuit. Fare is inclusive of all taxes and fees and meals. Checked bag available for additional €40 both ways. (If you need hold bag book directly with Condor for €360 then choose “Economy Class” tariff instead of “Economy Light”). Outbound is a non-stop flight and on your return there is additional stop in Mombasa, Kenya. 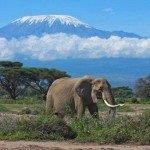 Booking sample of cheap direct flights from Frankfurt to Kilimanjaro from €353! As per our above link you would depart from Germany to Tanzania on 5th of December. Return from this African country back to Frankfurt with a layover in Kenya then a week later, on 12th of December 2018.